Today, King Felipe and Queen Letizia of Spain attended the Victims of Terrorism Foundation Awards 2017 at National Museum Reina Sofia Art Center in Madrid. 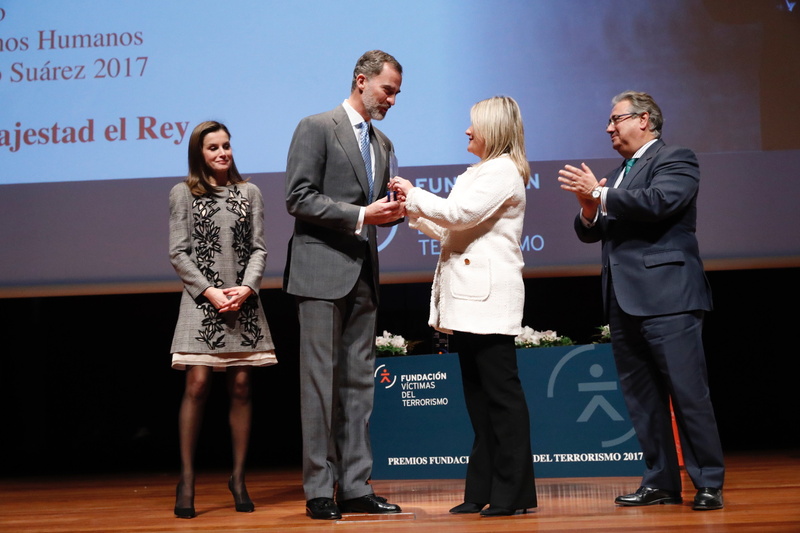 King Felipe was awarded the Award in Defense of Human Rights Adolfo Suárez, in recognition of the group of victims of proximity and closeness that the Crown has always shown with the victims of terrorist barbarism. King Felipe thanked the Foundation and praised its efforts towards the victim of the terrorism. Upon arrival, Queen Letizia was wrapped up in her black Hugo Boss ‘Cegina’ coat. 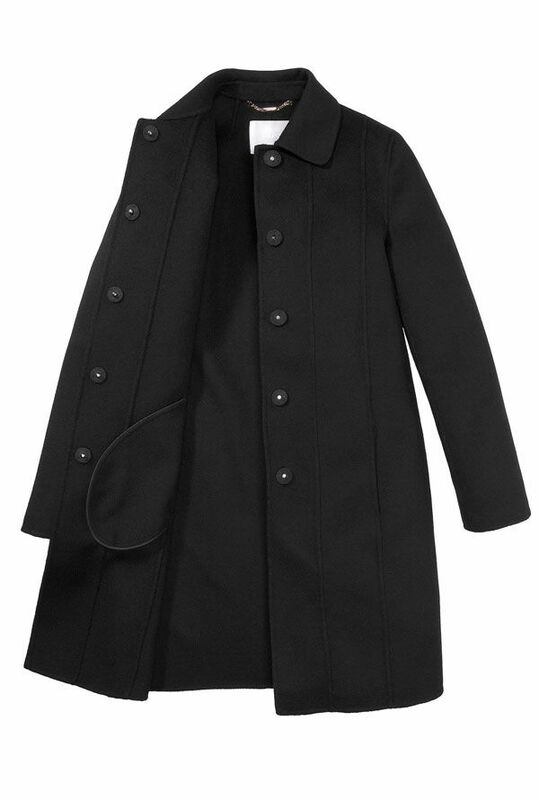 The wool cashmere coat features a turn down collar and is retailing in red and black colorway. For the occasion, Queen Letizia recycled her Prince of Wales Carolina Herrera grey dress that she debuted in last March. The made in Italy dress is crafted in wool and features a mini length hem and a floral cutout design in black with round neck. 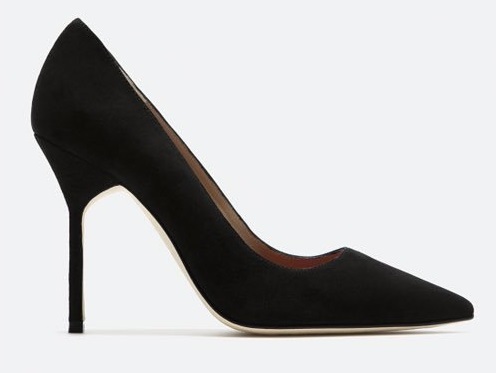 Queen paired the dress with black sheer stockings and her black Carolina Herrera suede pointed-toe pumps. She was seen carrying blush pink Magrit leather clutch bag and finished her looks with Yanes flower blossom stud earrings.